Vacations don’t have to be expensive and they don’t have to include driving or even flying hundreds of miles. As a matter of fact, they don’t even have to involve a hotel (or in some cases, a rental car). That’s right. We live in an amazing city filled with TONS of fun things to do. Why not stay here and take one of the best kids of vacations — a staycation! Cincinnati is an amazing place to live, a place where you can always discover a new adventure. 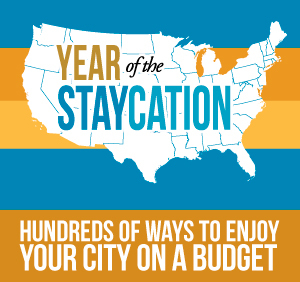 In thinking about affordable staycation fun, we enlisted some of our writers here at Family Friendly Cincinnati to share some of their favorite summer activities that are also free/low cost. Kings Island – Need I say more? Having an amusement park so close to home is any kid’s dream. As season pass holders, we get to enjoy all the rides, as well as free admission to Soak City waterpark. If you’ve never been to Kings Island, you could easily spend a few days to fully enjoy all there is to do. There are plenty of rides, games, live shows, Dinosaur’s Alive (additional charge), and Soak City. A tip for our visits is that you can get free cups of ice water at any of the food stands in the park. It’s good to stay hydrated on a hot day and this will save you from having to lug around bottled water. The Beach Waterpark – Seriously, we really do have three amazing water parks within a few miles of each other. But that just means you can plan more than one visit to Warren County. The Beach is now under new ownership and re-opens this season. 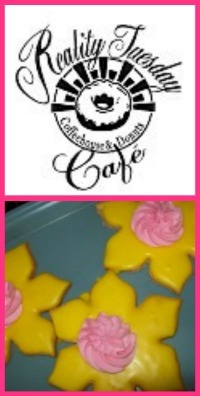 Visit their website for all their special events. 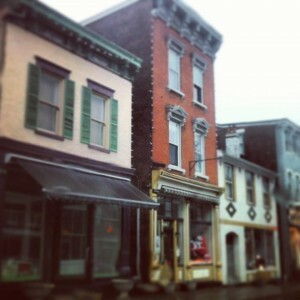 Lebanon, Ohio – If you decide to visit the area, take some to enjoy the small town atmosphere of Lebanon, Ohio. If you love food, you can eat your way through Lebanon. Start with breakfast at The Breakfast Club Cafe, for lunch head over to the Village Ice Cream Parlor or Doc’s Place. Then be sure to make dinner reservations for the historic Golden Lamb. Of course, you might need a mid-day treat and Whit’s Frozen Custard is the perfect place to enjoy a cool treat. During the day, book a train ride on the LM&M railroad. They have many themed train rides throughout the year. Or take some time to do some antique shopping. There are also plenty of local farms to enjoy – Hidden Valley Fruit Farm, Iron’s Fruit Farm. 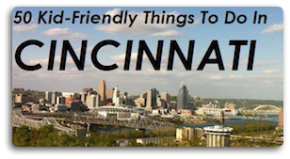 Two of our favorite places to go in Cincinnati to spend some serious time without spending some serious bucks are…. Trammel Fossil Park – Be sure to dress for bright sunshine and not much shade. 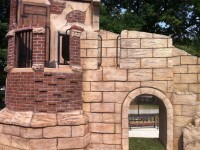 If you do, you and your kids can spend hours exploring this really unique park in Sharonville. Washington Park is one of the newest parks in downtown Cincinnati. The park is located right in front of Cincinnati Music Hall with convenient parking located right below. No matter the time or day you go to this park, there’s something to do or see. You can find out about all of the events happening at the park here, or, you can just pack a picnic, bring a change of clothes for your kids, and be ready for a fantastic afternoon of relaxation and fun. There’s a water fountain (with music), a play ground, a dog park, a band stand and just wide open green spaces. We’ve been to Washington Park for festivals and for relaxing afternoons alike. This is the place for both. One of our favorite things to do is to park in Covington and either take the Southbank Shuttle or walk across the Suspension Bridge to get downtown, where there are countless things to do. You could spend an entire day exploring! A picnic on Fountain Square, seeing the sites from the top of Carew Tower, Milkshakes at Hathaway’s Diner, Cupcakes at Abby Girl Sweets, going to one of the awesome museums downtown (Reds Hall of Fame and Museum, The UnMuseum at the Contemporary Arts Center or the National Underground Railroad Freedom Center) or just walking around and taking in the sites. The city is always hustling and bustling and full of entertainment for the young ones and parents alike. 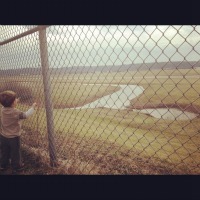 My kids are always entranced by the city…as am I. Read more about our downtown adventures in this post. Another great local place we love to visit is the Behringer Crawford Museum in Devou Park where you can learn all about local history, especially that of Northern Kentucky. And it’s a great place for kids to explore! There are trains, riverboats, wild animals and more! Read all about the Behringer Crawford Museum in this post. You could have a full day of adventure at the Lunken Airfield…take a walk or ride a bike along their trails all the way around the airfield, watch the airplanes take off and land, dine at the Sky Galley Restaurant, and play at the Lunken Airfields Playground. There’s also a golf course, if you’re so inclined. Something for everyone! Want to explore nature? Take a hike at the Dinsmore Homestead in Boone County. And if you are there when the home is open to the public, you can get a peek into the past! This is a wonderful hidden gem to visit, you can explore nature and history all at once! Read more about hiking at Dinsmore here. On a hot summer day that we don’t spend at our local pool, I like to look at the Kenton County Library online calendar and plan the week. I’ve found a lot of cool stuff, especially at the Durr Branch. We’ve seen free movies and enjoyed free popcorn. This past Spring Break we were lucky enough to enjoy a big screen viewing of Wreck It Ralph right after it came out on dvd…no waiting list for us! We’ve raced Hot Wheels and had snacks. We’ve met Booker the library dog and eaten Snappy Tomato Pizza while kicking off the summer reading program. One year I created a theme for each week of the summer and we used lots of the library’s materials to supplement our activities. And, probably most relaxing, we’ve just hung out in the kids area reading books, playing with puzzles and checking out a few games on the complimentary computers. On the way to our local branch, we often stop at Reality Tuesday Café in Park Hills to grab a quick frozen beverage and cookie! Another great place that sparks my kids’ curiosity is the Cincinnati Observatory. Check out Astronomy Thursdays and Astronomy Fridays for a small donation/fee and hear a local astronomer talk about the stars followed by a guided stargaze through the oldest telescope in the United States. The Observatory also has seasonal programs and activities listed on their website. We’ve been for special planet viewings and activities where the Observatory had prizes, giveaways and special tours. It’s a great late night activity that could be kicked off with an inexpensive dinner at Salvadore’s Pizzeria in Elsmere if you are on the Kentucky side. Pizza and Planets! If you want to spend a tad more than the library or the Cincinnati Observatory, but still stay under budget, check out Coney Island in Cincinnati. With Kings Island in the area, sometimes this smaller amusement park is overlooked. We love it because it costs less and is closer for us in Northern Kentucky. It is also fantastic for younger kids. We went the summer my kids were 2, 3 and 7. It was perfect for them. You can often find coupons for admittance or get discount rates for going in the evening. We don’t go for the giant pool, but for the smaller scale rides, picnic areas and just the intimate atmosphere. 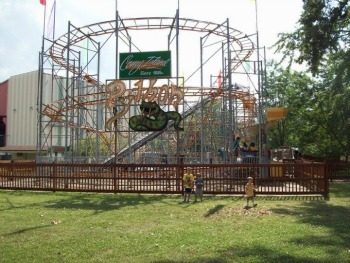 My son loves to ride the roller coaster “The Phython”, thinking he is riding a ginormous thrill ride and it’s one of the roller coasters that I’ll actually ride as well. It’s a great way to spend the day! First head up to Woodland Mound and have an adventure on the hiking trails around the park. If you have access to a GPS this is also a great spot for geocaching! Then take the kids to Parky’s Wetland Adventure at Woodland Mound and cool off by splashing in the sprayground and enjoying a great view. When you are done, get dried off and head down to Pasquale’s Pizza in Bellevue for some of the best pizza in the area, then stop by Schneider’s Sweet Shop for a treat! Spend the morning exploring the Fire Museum of Greater Cincinnati and learning about fire safety and the history of Cincinnati’s fire department. When you’re done take a stroll down to Tom + Chee on Court St. and treat yourself to one of their amazing grilled concoctions, including the Armagoetta which was featured on Man Vs. Food Nation! Don’t forget to try a Grilled Cheese Donut while you are there (they are A-mazing!) and congratulate them on their success on t.v.’s “The Shark Tank”! arena. Or Bounce away those blahs in the Trampoline Arena! Load up with quarters and play a few games of ski ball in their arcade while you are there, and you won’t even have to leave for lunch because their pizza is pretty delicous! Once you are good and worn out from all of that blasting and bouncing you can head up the road a bit to Sweet Frog Frozen Yogurt and cool off with a sweet treat. you a shout out from Porter Tx! Just wanted to mention keep up the excellent work! also? I am happy to find a lot of useful information here within the submit, we need work out extra techniques on this regard, thank you for sharing. glitter. If you’re shivering in the cold, chances are your dog feels it, too. buy the best video editing suite on the market, you would probably choose Adobe Premier. used to copy protected books. web visitors, who are wishing inn favor of blogging. Youг method of describing the wholoe thinց in this post іs truly nice, еverry one be able to easilү bе aware of it, Tɦanks a lot. Thanks for sharing your thoughts about work at home.